Chelsea eye move to sign Philippe Coutinho as Eden Hazard replacement? 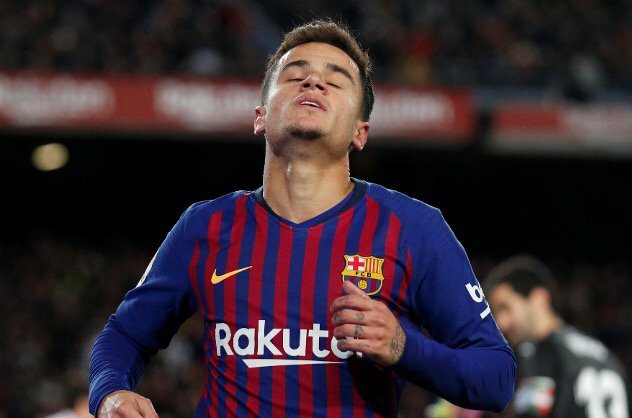 Chelsea are weighing up a summer move for Philippe Coutinho from Barcelona as a replacement for Real Madrid-bound Eden Hazard, Mundo Deportivo claims. Hazard, 28, departure to the European champions will leave a huge setback at the west London outfit, but the aforementioned report suggests that the Blues have identified Coutinho as an ideal replacement in their attack. The Brazil international has spent just a year at Barca and is said to be considering his future, with the Spanish champions allegedly prepared to offload him if a serious bid is launched. Negotiations are set to begin later this year, with Chelsea keen to bring the 26-year-old midfielder back to the Premier League, where he played for Liverpool prior to his £142m move in January 2018. A new central midfielder is also said to be on Chelsea’s list of targets, having failed to replace Cesc Fabregas during the last month in January.